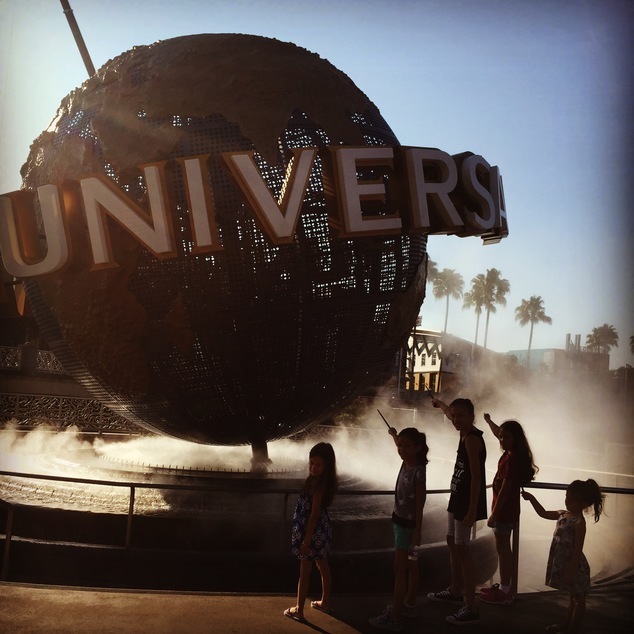 As my family was preparing to visit Universal Orlando for the Family Forward conference, my kids asked what we were going to do at the Wizarding World of Harry Potter? Good question. Um, have fun? You see, we’re not huge Harry Potter fans. Whaaaaaat? I know. It’s not to say I don’t like Harry Potter. I really enjoyed reading all the books and watching the movies. My oldest two children have read some of the books, but my young children are like, Harry Potter who? So in preparation, of course I had to find some fun Harry Potter clothing to look the part. 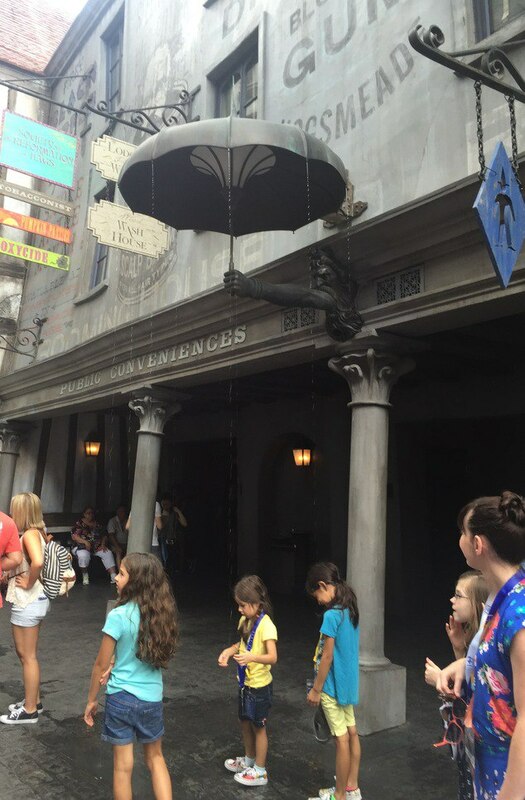 Then I noticed Diagon Alley had only one attraction listed. One? What was I going to do with all my kids there? I’ll tell you what. I started to geek the freak out. I turned the corner, and it’s like the angels started singing. Diagon Alley is my favorite! I love me some Hogsmeade, too, but let’s focus on one thing at a time, people. 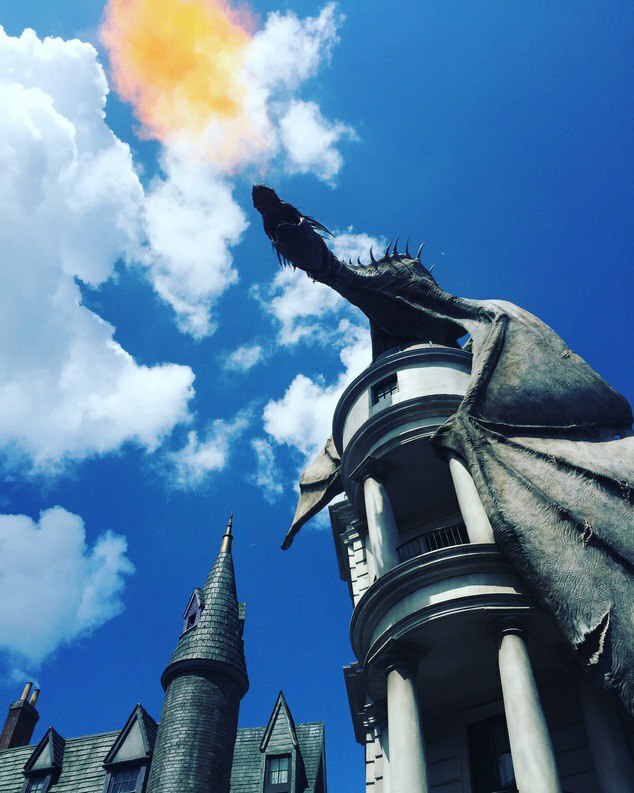 Here are 5 things you must do in Diagon Alley! 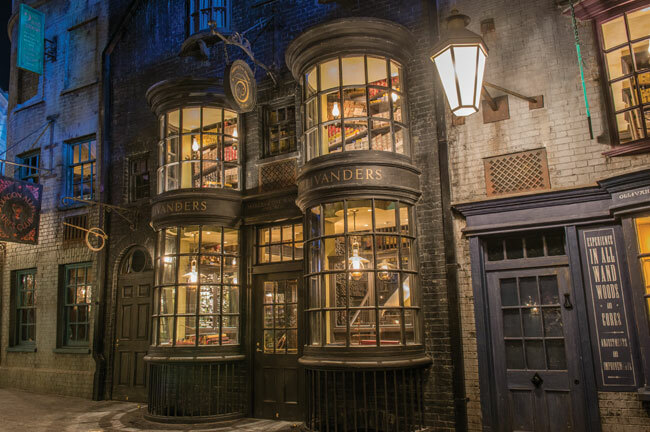 This is the one attraction in Diagon Alley, and I loved it! Walking through Gringotts itself is an attraction. 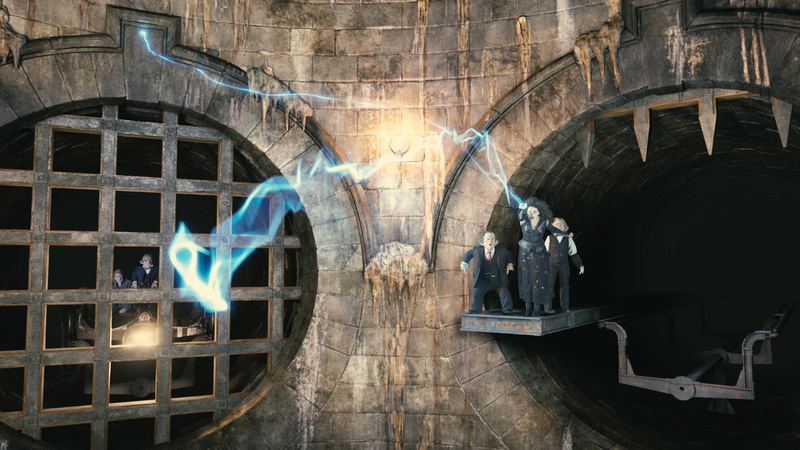 You walk through the bank’s lobby all while keeping an eye on goblins, go through passageways, into Bill Weasley’s office, up an elevator and a winding staircase to board the attraction. My eyes were already wide from excitement, but then the multi-dimensional adventure through the vaults of Gringotts was thrilling and amazing. 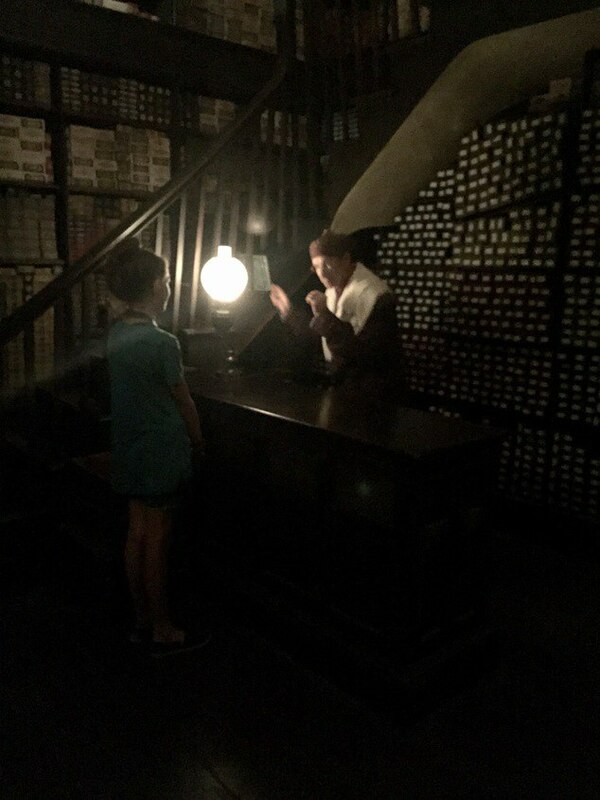 It’s really fun to watch a wand choosing at Ollivanders. The wand chooses the wizard or witch. We went right before the store was about to close and our family was the only family in there. What were the chances one of my children would be chosen? 😉 Luckily my oldest was chosen, and she was very excited and old enough to understand the meaning and the importance of having a wand choose her. My other girls were thrilled to be able to choose the wands of famous wizards in Harry Potter. We had a Hermione, a Ginny Weasley, and a Professor McGonagall. My oldest daughter being chosen for a wand. The wands are a little pricey, but for $8 more, you can buy an interactive wand. No brainer and worth every penny, because you get a map with the purchase of your wand, and my daughters had a ball finding all the interactive activities. Here your wand makes the eyeballs move as you move the wand a certain way. Eat all the ice cream! I like ice cream, but I can’t say it’s my jam. 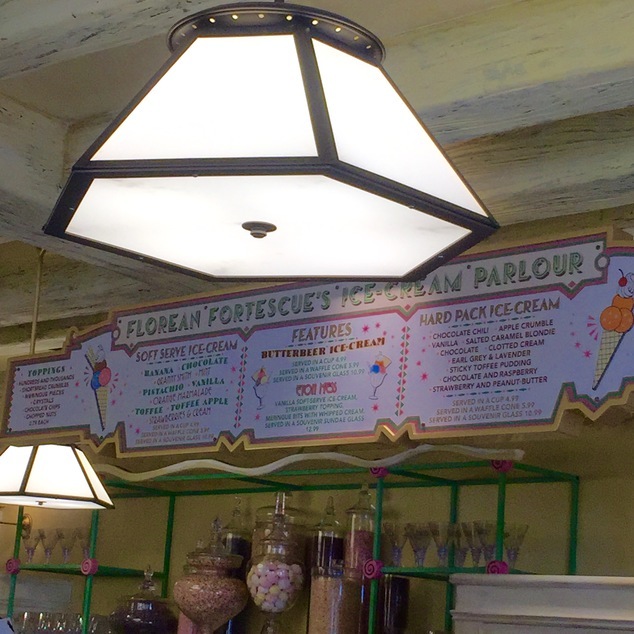 The ice cream at Florean Fortescue’s Ice-Cream Parlour is my jam. First of all, hello Butterbeer ice cream! Yes, I’m going to have to say it’s more amazing than Frozen Butterbeer. I’m sorry. #SorryNotSorry You’ll have to be the judge though. But not only is the Butterbeer flavor outstanding, I found other favorites, too. I’m looking at you pistachio, salted caramel blondie, and sticky toffee pudding. What? These are the benefits of having a large family, plenty of people to share. I won’t mention how many times we went back. But seriously, go. Try a flavor you wouldn’t normally try. You won’t regret it. So there you have it. 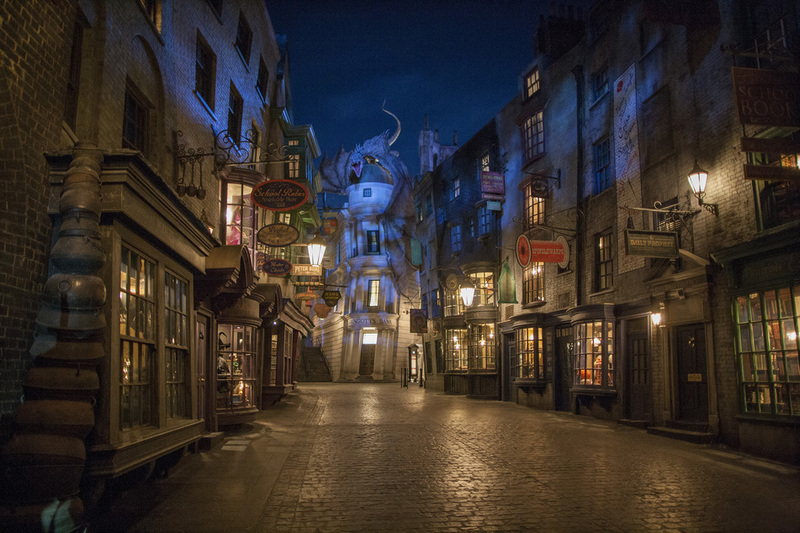 We kept coming back to Diagon Alley, and nobody ever got bored or asked to leave. We waited until they kicked us out. Yes, you need Park-to-Park admission, because I can’t even begin to describe the awesome that is King’s Cross Station and the Hogwarts Express. All my children are now full-fledged Harry Potter fans and have come home wanting to read and watch Harry Potter everything. Something I can fully support, except when they start trying to cast spells on me. Oh my word. 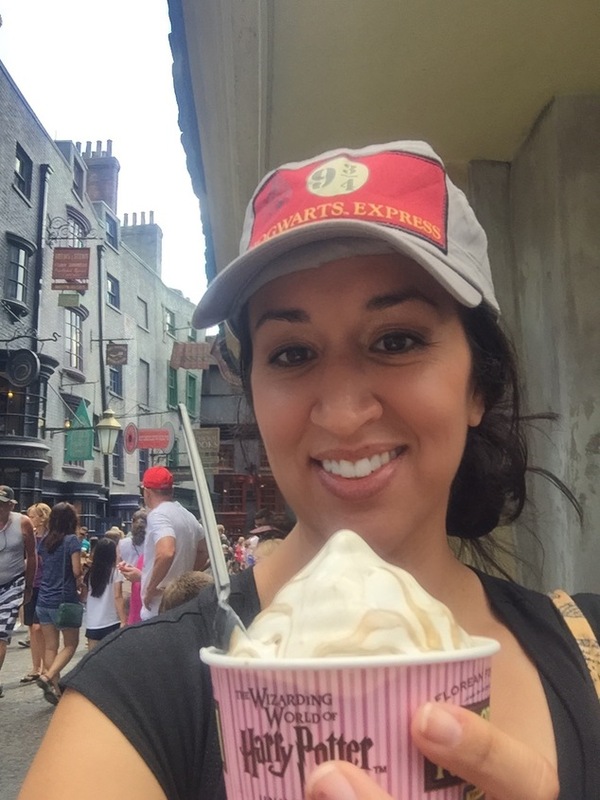 Butter beer ice cream sounds amazing!!! I can’t wait to go over to this park and see all the things. When we went There was only Forbidden Journey. Yes, you have to go and ride the Hogwarts Express, too! Salted caramel blondie? I’m in. We love Harry Potter and I really need to make a trip to see this!! Thanks for the guidance! One of our favorite places! Miss E and I spent a lot of time exploring while the boys rode Escape from Gringotts. She loved the shows by the money exchange. Thanks for the recommendations! It’s because of you that I tried new flavors, because I otherwise would have been Butterbeer all day long. Oh man- Diagon looks amazing! I can’t wait to see it myself. And grab some of that ice cream too. !! !